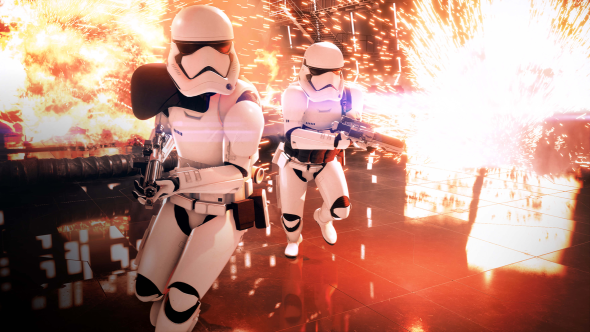 Star Wars Battlefront II’s system requirements have dropped, so it’s time to find out if the Force will be with you in time for the game’s November 17 release. Check out our list of the best FPS games on PC. Star Wars Battlefront II lets you play across all three Star Wars eras, with battles from the Clone Wars, Original Trilogy, and even locations and characters from The Force Awakens rounding out the game. On top of that, there’s a brand-new single-player campaign that bridges the gap between Return of the Jedi and The Force Awakens. There’s also triple the heroes, locations, and vehicles from the first game for you to sink your teeth into. PCGamesN works with System Requirements Labs to check whether your PC is up to scratch and can run games. Take the test for yourself at Can You Run It?